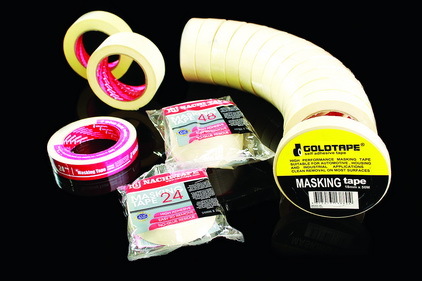 Economy, general purpose and high performance masking tape for packaging, bundling, holding,masking and non-critical masking and vast number of other jobs where a pressure sensistive tape is needed. Provide in natural and yellow color crepe paper which was coated by solvent based natural rubber. Please contact us for other requirement or specifications which are not listed above.